European Commission president Jean-Claude Juncker appeared before an inquiry hearing of MEPs, probing dubious tax schemes in Luxembourg and elsewhere. 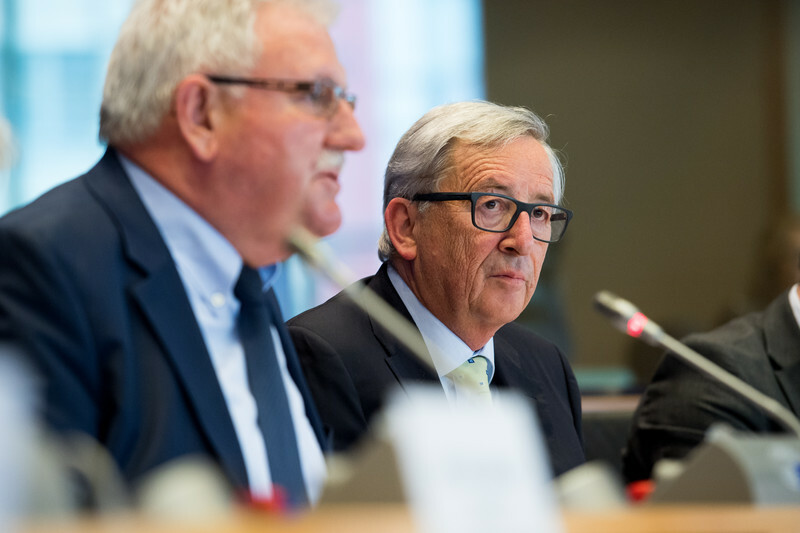 The euro-deputies on Tuesday (30 May) were hoping to extract a confession from Juncker on his alleged role in setting up the schemes, which eventually led to the LuxLeaks scandal. 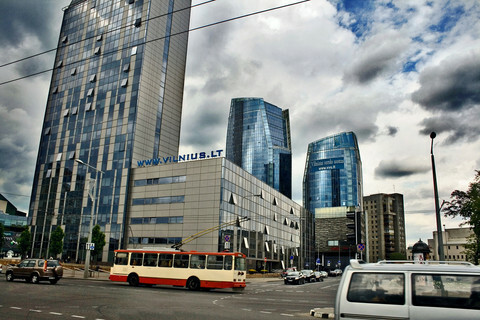 That scandal, disclosed by numerous media outlets in November 2014, revealed how Luxembourg became a major hub for multinationals wishing to slash their global tax bills through secretive tax rulings. Juncker had spent decades as the Grand Duchy's prime minister and finance minister, before becoming EU commission president, but he denied any responsibility. The LuxLeaks was followed almost two years later by a cache of some 11.5 million documents from a Panama-based law firm, Mossack Fonseca. Known as the Panama Papers, the files further implicate Luxembourg as a major hub in terms of so-called intermediaries, such as law firms and banks that facilitate offshore structures to hide corporate tax money from the public. 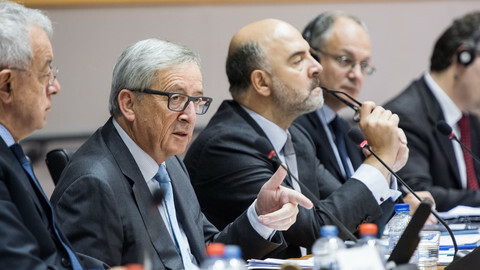 When asked who should take the political responsibility for allowing the intermediaries to flourish in his home country, Juncker said it was a non-political issue. 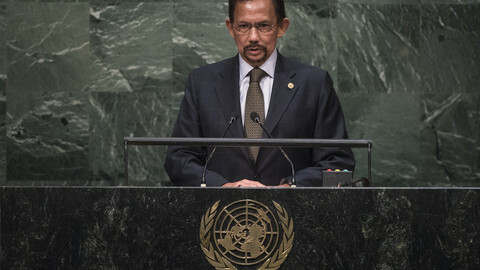 "I don't think we have to be looking for responsibility in the area of politics because the political authorities are not informed of these comings and goings and handlings," he said. He added that he hadn't been responsible for financial and business issues in Luxembourg and that he "never discussed fiscal measures with a company." "Tax rulings, for example, are negotiated with the tax authorities in Luxembourg and not the ministers," he noted. 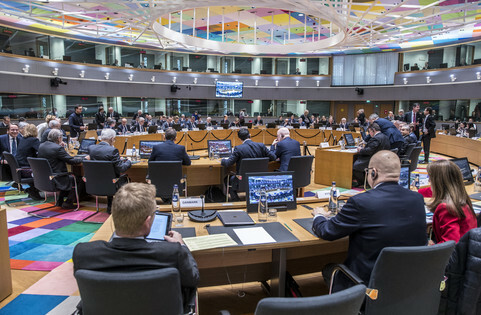 Instead, Juncker repeatedly highlighted a dozen policy and legislative proposals, which were tabled by the EU commission under his tenure to crack down on tax evasion and remove the veil of secrecy behind the numerous structures. He also announced a new directive would be proposed in the coming weeks to weed out intermediaries. "It is a real problem, it is not only a problem in Luxembourg, but also elsewhere," he said. German Green MEP Sven Giegold welcomed Juncker's shift as EU commission president towards greater tax justice, but said that big questions remained unanswered about his past roles in Luxembourg. "You've turned from Saul to Paul on the road to Damascus, so now you are working hard on tax evasion but citizens want to have a clear statement of responsibility about what you did in the past," said Giegold. Earlier in the day, Giegold told reporters that Juncker needed to come clean to reassure the public that he was sincere about his most recent efforts. Giegold also presented a report to journalists detailing how Luxembourg had, in the past, resisted EU-level tax cooperation under Juncker. The findings in the report were part of a broader probe initiated by a specialised police investigation unit from the western German state, North Rhine-Westphalia. According to Giegold's report, the North Rhine-Westphalia probe showed how banks transferred interest received by individuals to companies and life insurance schemes, in order to avoid the so-called the European Savings Tax Directive. The directive, which required more tax transparency between EU member states, was adopted in 2003 and had entered into force two years after. But Luxembourg, along with Belgium and Austria, objected and also secured concessions to protect banking secrecy by applying a withholding tax instead. Once the directive was launched, large sums of money were suddenly transferred from abroad to Luxembourg by wealthy individuals. Bank deposits of Germans in Luxembourg, for instance, increased by more than 250 percent from $100 billion in 2000 to around $264 billion in 2007. 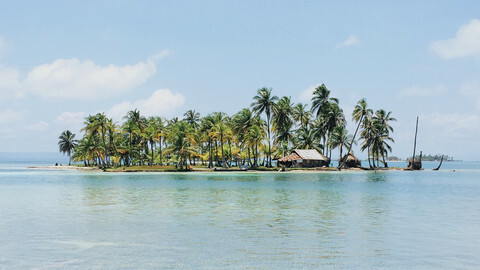 The money was then shifted into offshore companies such as ones in Panama to circumvent the European Savings Tax Directive. Giegold said it was a conservative estimate because it only looked at findings from the Panama Papers leaks and that the sums did not include schemes that involved life insurance. "This is only the tip of the iceberg," he said. Asked to comment on Luxembourg's resistance against the European Savings Tax Directive, Juncker told MEPs he did not have enough time to explain. "It is very difficult to explain in a few minutes why Luxembourg was for a withholding tax and didn't want to remove tax secrecy," he said. Instead, he said "that the world was very different then." The pressure on Juncker on his past roles in Luxembourg has pushed the EU commission to place considerable focus on tax justice. On Tuesday, Juncker appeared to make even further concessions to the demands of MEPs who now wanted an EU bill on tax enforcement. The tax enforcement act, proposed by the Green group in the EU parliament, would oblige all EU states to help each other find tax evaders across borders. Juncker said "Yes," when asked if he would support such a bill. He also said "yes" to invoking article 116 in the EU treaty, which would allow EU tax law to be decided by a majority, instead of unanimity, in the Council, where member state representatives sit. 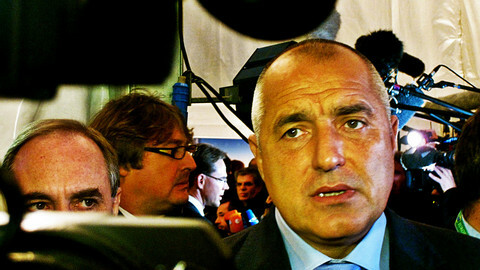 Such a move has been described as a "game changer" for tax justice in Europe by campaign groups. But Juncker also refused to budge in some areas, noting that the EU commission would not include EU states in an upcoming black list of tax havens. "We don't feel it is our duty to do it unless there are very serious circumstances," he said. EU Commission chief Juncker says he had nothing to do with Luxembourg's sweetheart tax deals in his time as PM of the microstate. 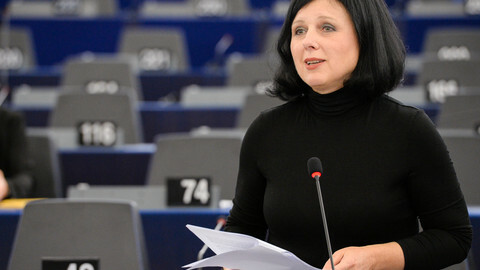 The European Parliament inquiry committee on tax evasion and money laundering had its one-year anniversary. 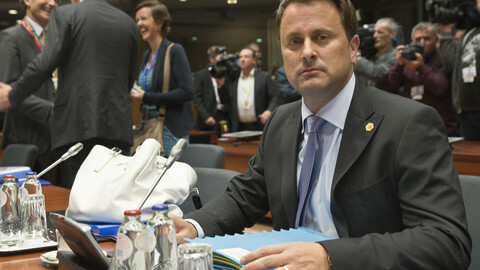 The prime minister of Luxembourg, Xavier Bettel, maintains that his country had broken no rules and committed no crime when issuing rulings that slashed global tax bills for the big firms.